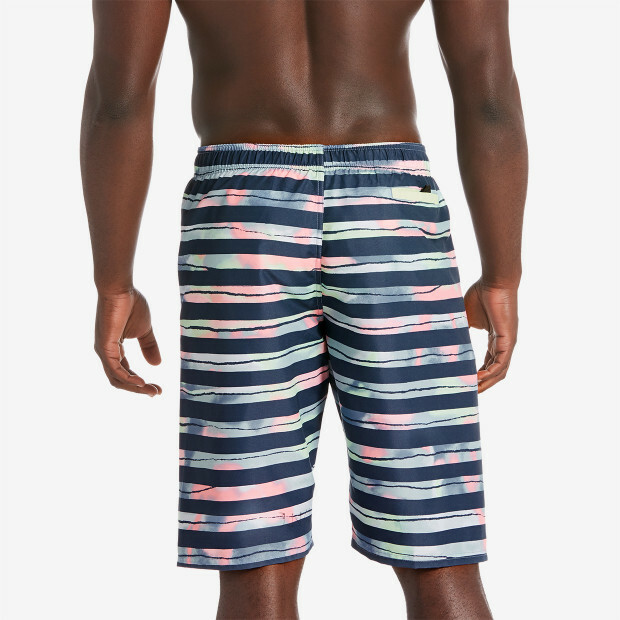 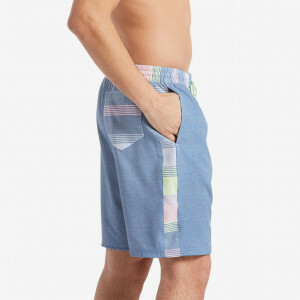 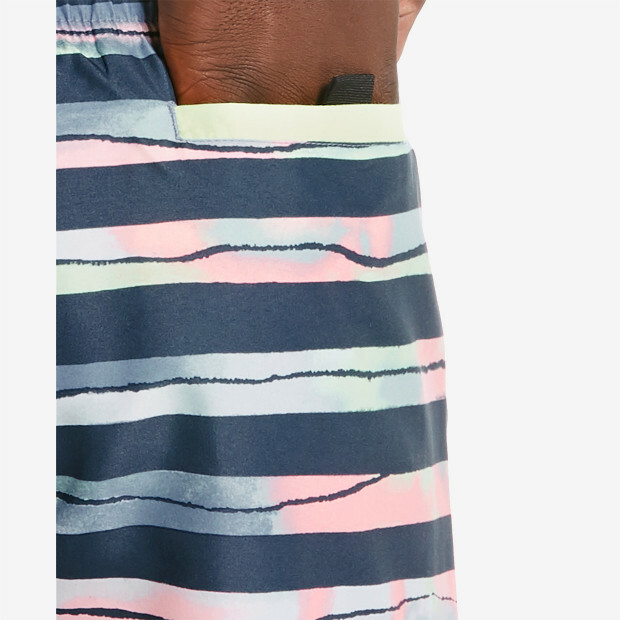 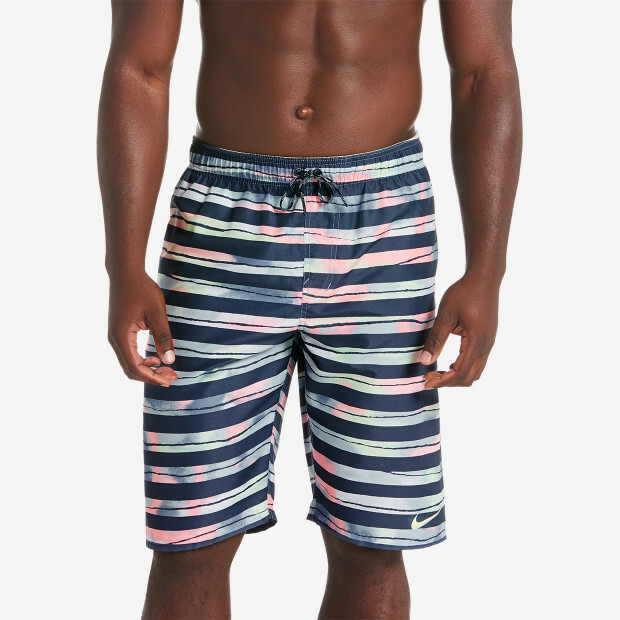 Nike Swim Men's Block Stripe Breaker 11" Trunk features a long leg with a cool colorful pattern broken up by black stripes. 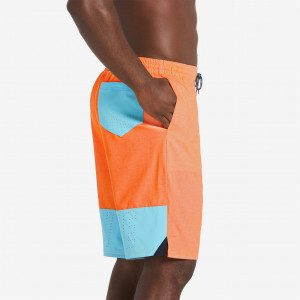 It's made from water-repellent fabric with mesh drainage points for quick-drying. 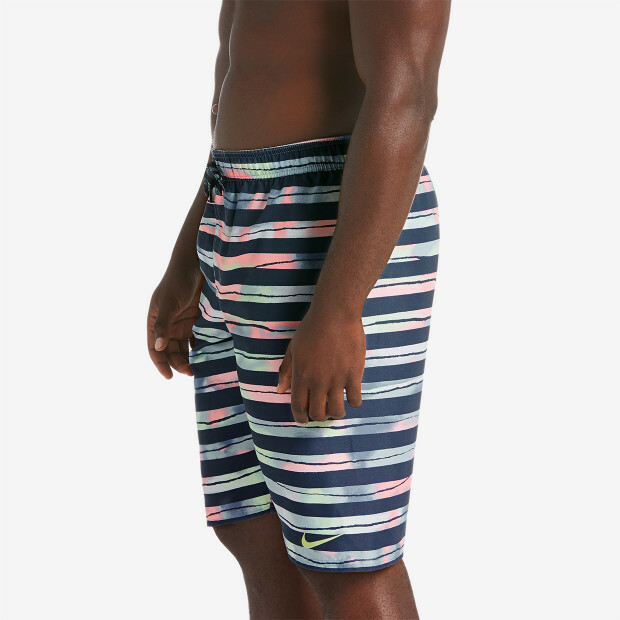 A stretch waistband and built-in inner support brief give you excellent fit.